If you're like me and you do not have a "green thumb", faux plants are your go-to to enhance a space and give it an organic feel. 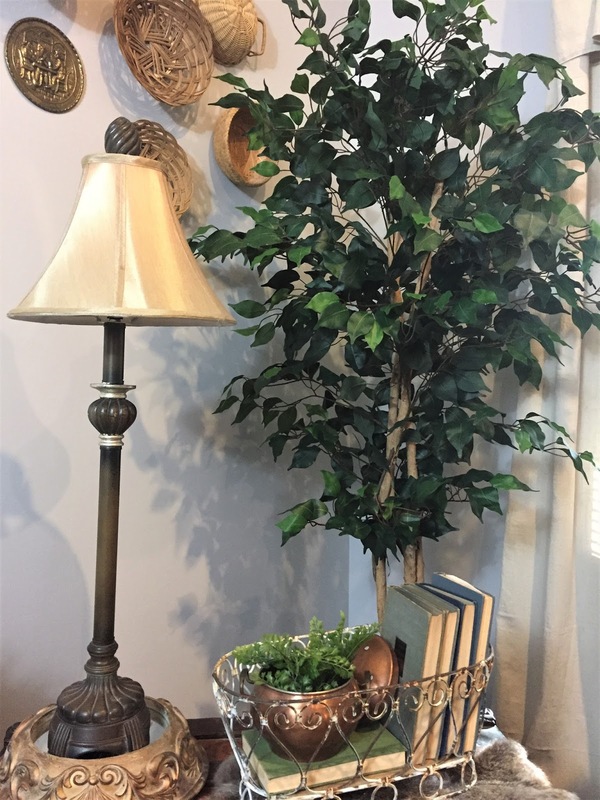 While some faux plants are rather pricey, it is well worth it to purchase high quality items that will not only last a long time, but leave your guests "green with envy". I was recently contacted by Commercial Palm Trees to do a collaboration with them. Because I had been pricing small trees to fill a corner of my living room, it was perfect timing for me to review their products. 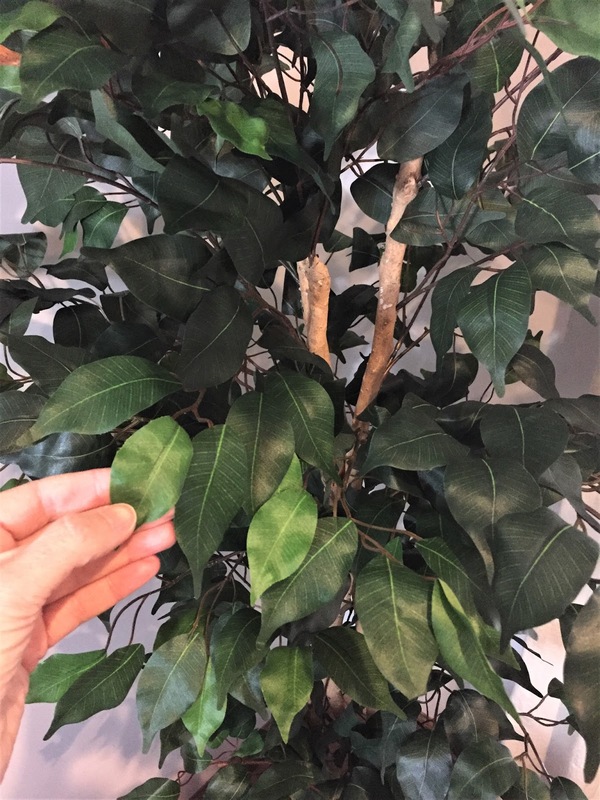 After much deliberation, I chose the 5 ft. Ficus tree. The tree arrived safely packaged and I was extremely happy with it's quality. The trunk of the tree, as well as the leaves appear to be real even from close up. I'm very happy with how this space in my living room has finally come together. This beautiful Ficus tree was the perfect choice to add height and color in an area with a high, sloped ceiling.